The most North Eastern of the Balearic Islands which has historically been a strategic point, both commercially and military which has supposedly given rise to the varying occupation of so many villages on the island. 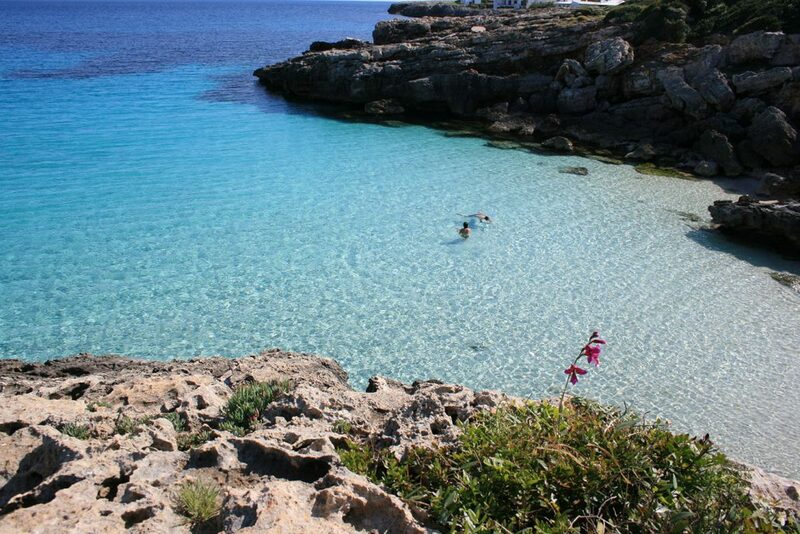 On the 8th October 1993 UNESCO declared Menorca a Biosphere Reservation. The Roman Minorca has not deceived curious visitors, who came as lovers of nature and the sea. With an area covering 701km2 and an average annual temperature of 16.7.C , the island is made up of limestone making up its special beauty landcsape and biological interest. The sheer number of Megalithic monuments (chambers, tombs, and stonehenge­-esque monuments) together with gallerys, hipostyle halls, covered enclosures and caves make Menorca a cultural destination with important archeological sites worthy of visiting. 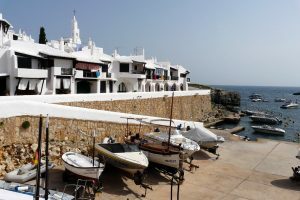 But we cannot forget that Menorca is a sea­side island, the proof of this is the 216km of coast, separated by only 48km between Ciutadella and Mao. The beaches, “calas” (small bays) contrast between the northern red sands and the southern crystalline waters, where the boat ́s reflections on the water gives the effect of them floating in the air. Large areas of meadows of Ocean Posidonia are an indication of the perfect state of conservation of our seas and the quality of our waters. The fishing village of Binibeca is found just 8km south of Mao in the municipal boundary of Sant Lluis. Built in 1972, it quickly became one of the most visited tourist enclaves of the island. Its narrow streets and climbing white houses create a laberinth worthy of discovering and losing yourself in. Biniparratx, Binidali or Es Calo Blanc, will not disapoint even the most demanding travellers. A small uninhabited islet South West of Menorca, situated a little more than a nautical mile off Punta Prima is home to the islands highest lighthouse with a 38m tower, is every bit a must visit for all sea and nature lovers. The small island is home to an interesting biodiversity of huge ecological value including six Balearic species of nesting sea birds, breeding here. In spring it is home to a large quantity of migratory birds resting on their journey to the African coasts. Isla del Aire is also home to the most dense population of Menorca of Balearic Gecko, which is characterised in this point by its black colouring. This is a must see when taking advantage of the sunset views we arrange from the comfort of our boat! If having read all of this, you are still not completely convinced of visiting Menorca, take a look at the photos in our gallery… after all a picture can paint a thousand words!